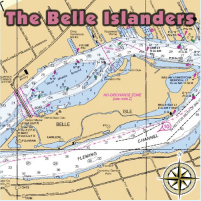 The Belle Islanders started as a recording project involving 3 members of legendary Detroit reggae group Black Market and infamous Detroit vocalist Dave Edwards of The Look (“We’re Gonna Rock”) in 2005. Inspired by a 1970’s reggae compilation “FEELIN’ HIGH”, Dave & producer/musician Bob Monteleone decided to lay down their own versions of some of their favorite songs from the obscure comp including “Feelin’ High”, “Country Living”, “Ah So” and “I Man Bitter”. They enlisted the help of Black Market/Raggamuffin rhythm section Mitch Purdy & James Megerian; Jamaican guitarist/keyboardist Brian Silverman and vocalist April Johns. The idea was to record some reggae music with the aesthetic of the early-mid 1970’s, before synth’s & drum machines. Before “toasting” & dancehall. Just organic, rootsy, soulful reggae music. 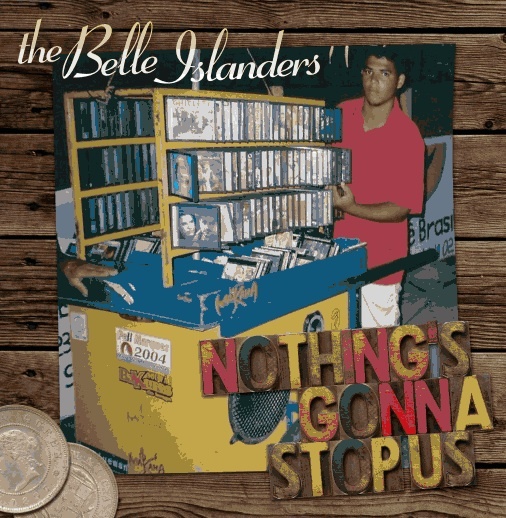 The follow-up to Belle Islanders’ self titled debut is called NOTHING’S GONNA STOP US was released in August 2013. The Belle Islanders rock harder and groove heavier than ever before! Years in the making, NOTHING’S GONNA STOP US features some brand new originals (the rocking “Kickin’ In The Joint”, the rootsy “It’s Gonna Be Alright” and the Stax flavored “Try One More Time” and more) and some classy covers (“Montego Bay” and April Monteleone’s take on Bob Dylan’s “Make You Feel My Love”). Dave Edwards has never sounded so urgent and Mitch Purdy’s drums have never grooved so hard and clear! Bob Monteleone’s production features a wide range of guitar and keyboard textures and Jim Megerian’s bass is, as always, solid as an immovable rock! April’s voice on the top of the 3 & 4-part harmonies give the album another distinctive flavor that sets the band apart from the rest. No sophomore jinx here as the Belle Islanders raise the ante with NOTHING’S GONNA STOP US!